*Results may vary. 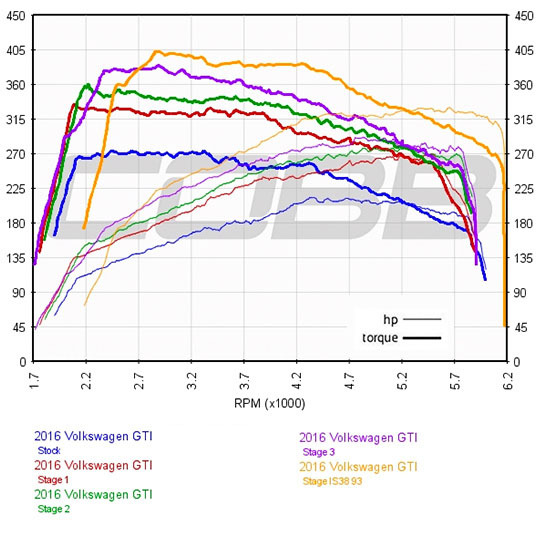 Power as tested on 2016 GTI Manual using these identical calibrations. Generally speaking, the 91 octane calibration has a richer fuel curve and a less aggressive ignition advance map to help compensate for 91 octane fuel and/or less than ideal atmospheric conditions. The map designed for 93 octane is the most aggressive.